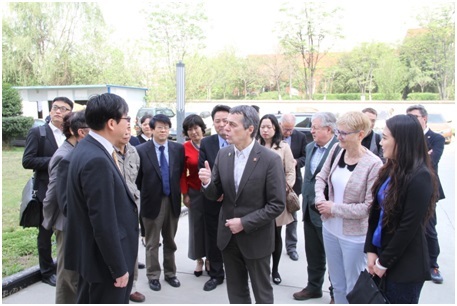 On April 4th 2018, Federal Councilor Mr. Ignazio CASSIS and his wife visited Institute of Earth Environment, Chinese Academy of Sciences (IEECAS) with an accompanying delegation of 12 persons including the Chief of Staff of the Federal Councilor Mrs. Patrizia PALMIERO KNECHT, Ambassador of Switzerland to China Mr. Jean-Jacques de DARDEL and so on. 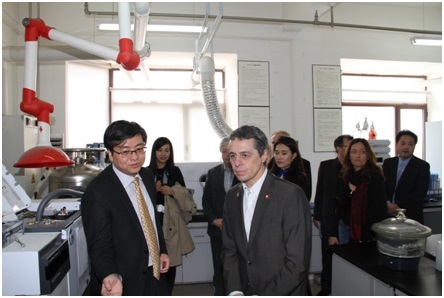 Mr. Cassis and his delegation visited the laboratories of IEECAS, including aerosol chemistry and physics lab, tree ring lab, pollen and tropical climate lab, core repository, core scanning lab and Xi’an AMS center. 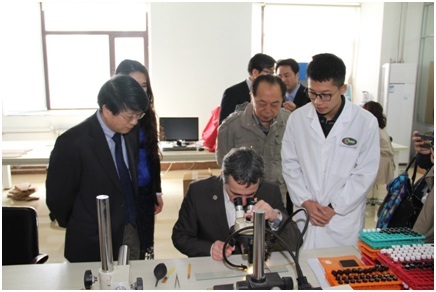 After visiting laboratories, they had a lively exchange and discussion with young researchers and students from IEECAS and Xi’an Jiaotong University. 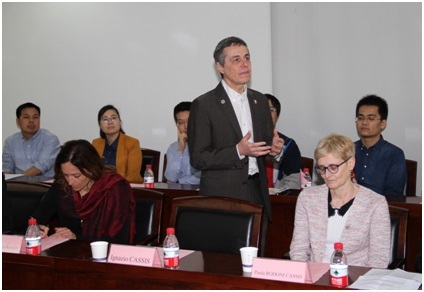 During his visit, Mr. Cassis expressed a strong interest on the environmental and climate research conducted in IEECAS and communicated with the relevant researchers. He also asked about the cooperation between the IEECAS and Swiss scientific research institutions. 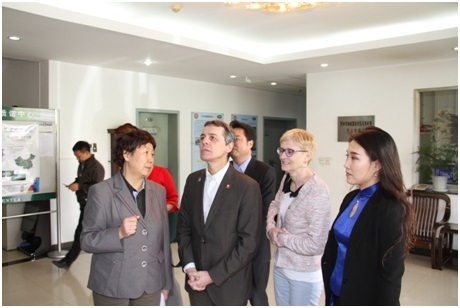 The cooperation is between the IEECAS and the Swiss PSI (Paul Scherrer Institute) which focusing on aerosol and air pollution, funded by the Swiss Agency for Development Cooperation. At the discussion meeting, young researchers and students asked questions enthusiastically. Mr. Cassis gave serious answers to the questions on air pollution, environmental health, scientific research, international cooperation, and economic development. 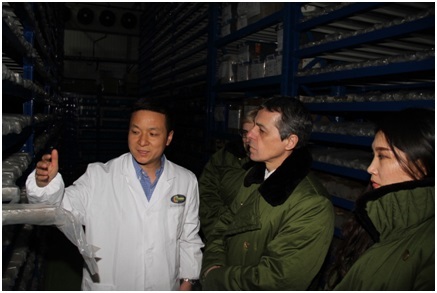 He also emphasized the importance and bright prospects of China-Sweden technology cooperation. In the end, Mr. Cassis expressed his thanks and best wishes to the IEECAS.